With Dove Home Care your loved ones will be receiving care in their homes and at their chosen time. Dove Home Care carers are trained to get adjusted and acquainted very quickly to personal living conditions and expectations of our customers. They are also trained to maintain the confidentiality of all aspects of care being provided. It is very personal and intimate type of care because your loved ones will remain in their own home and comfort. A Professional Caregiver at your home will deliver one-on-one care and will provide care that matches the needs and meeting expectations of an individual. Also, enabling them to carry out their day to day activities with peace and comfort. Any help or assistance within a Care home or a residential care or a nursing home has to be requested and there is normally a wait associated with an institutionalised care setting. A Professional Caregiver spends quality time with the person and is readily available. It encourages people to carry out their normal activities with ease. It is cost effective as compared to other care setups. It enhances people’s ability to maintain their lifestyle and to carry out routine activities. It makes life calming, comfortable, smoothing and loving along with providing peace of mind. Within this type of care, people requiring care or patients needing support will have to relocate leaving comforts of their home to a new location. Residential homes may restrict people movements and may ask to share facilities which for some may be of inconvenience. In a Care Home, personal attention may not always be available as carers within a care home or nursing home or a residential care are allocated a group of people with different needs to be looked after. There may be occasions where some people’s challenges may be more demanding in time than others. Also, carers operate on a shift basis and different carers come in to support customers who may not understand an individual needs or requirements. Carers may not be available 24 hours and at night time the number of carers working may be less meaning carers may have to attend many people. Dove home Care: We provide a care service in your own home which normally starts from a minimum of 15 minutes, our home care services are tailored to suit your needs and challenges. 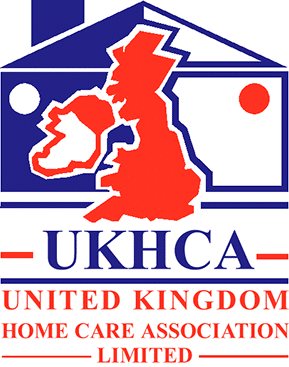 Our close relationship and a friendly bond between you, our client and our carers ensure our commitment to the provision of ‘quality, stress-free, comfortable home care and peace of mind’. Dove home care carers are trained to work with plenty of time, enthusiasm, cheerfulness, morale, care and positivity! Our hourly – 24-hour home care services in West Midlands includes aided mobility, administration & prompting of prescribed medication, companionship, postoperative care, light housekeeping, meal preparation and assistance with daily living activities. To further assist in getting a further understanding of Dove Home Care services the following are the differences between home care v/s Care Home or Residential Care or Nursing home. Call Dove Home Care at any time.